Following massive protests in the Chinese city of Qidong against the planned discharge of wastewater into the sea from Oji Paper's Nantong fine paper mill, Chinese officials canceled the construction of the industrial project. 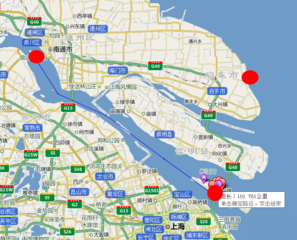 The coastal city of Qidong is located at the mouth of the Yangtze River, approximately one hour north of Shanghai. The city's economy is centered largely on the fishing industry, and is a major source of lobster and shrimp exports. However, the local authorities have attracted pharmaceutical companies, chemical fertilizer plants and computer parts factories with tax breaks and other enticements. In June 2003, it was announced that Oji Paper had decided to construct a new paper factory in Nantong, a prefecture-level city in central Jiangsu province. The new factory, named Jiangsu Oji Paper Co. Ltd. (Jiangsu Oji Paper), is expected to become the biggest integrated pulp project in China. It is estimated that once the project is up and running, it will bring in over 700 million yuan in tax revenue every year. To attract Oji’s investment in Nantong, the Nantong municipal government offered a proposal to construct a facility in Nantong that discharges industry-standard wastewater into the sea in order to facilitate the emission of wastewater from Oji Paper. The feasibility study of this wastewater discharge facility started even earlier than the paper mill by Hohai University. In 2007, the Oji Paper Company began construction of a paper mill in the city of Nantong, Jiangsu, located approximately 100 km inland from the coast. The planned 104-kilometer-long pipeline would have six kilometers in marine area, with approximately 2.2 kilometers going through mud flats and the remaining 3.8 kilometers extending to the Yellow Sea. The outlet of the pipeline would be located in the waters within Qidong City, while designed capacity of the pipeline is to transport approximately 150,000 tons of waste water per day from Nantong to the coast off Qidong. 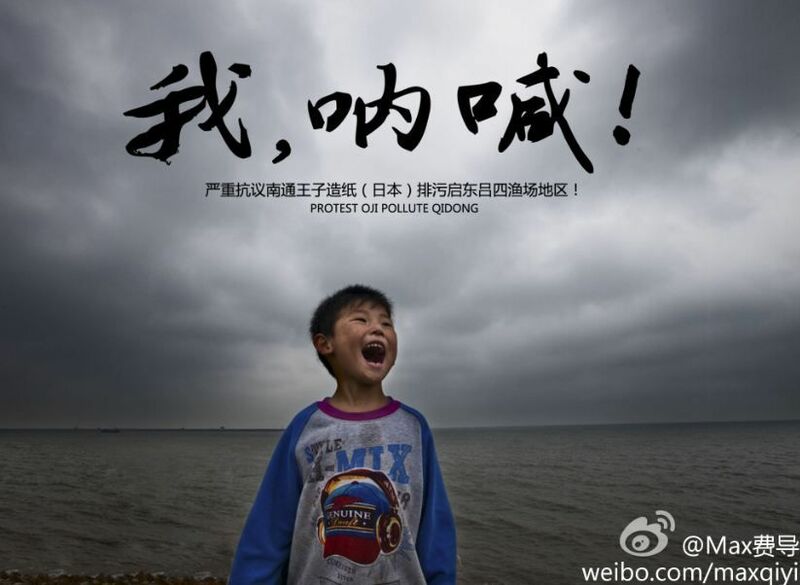 However, residents in Qidong, who depend on the sea for their livelihood, strongly opposed the project. With 203 kilometers of shoreline, 660,000 mu (1 mu= 0.0667 hectares) of mud flats, and the Lüsi Fishing Port known as one of the country's four major fishing ports, Qidong has formed a highly efficient fishing industrial chain. A large number of fishermen earn their livings in Qidong's coastal zone. The drainage pipeline would impact the local fish breeding and fishing industries. The construction at the bottom of the sea would damage fish spawn, fish larvae, and juvenile fish; once the pipeline is up and running, based on the forecast that during the first stage of the project, 65,000 tons of waste would be discharged into the sea through the pipeline every day, an area of 0.065-0.84 square kilometers near the outlet would become a wastewater mixing zone unsuitable for breeding fish. There were also concerns that the discharge from the paper mill could pollute Shanghai's Qingcaosha Reservoir at the mouth of the Yangtze River, from where most Shanghai residents receive their water. Initially, the proposed project met strong opposition from several deputy members of Qidong Municipal People’s Congress. 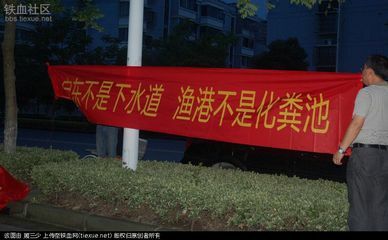 During the 14th session of Qidong Municipal People’s Congress in 2005, 21 deputies jointly submitted “a motion for the Nantong project that discharges industry-standard wastewater into the sea” and 20 other deputies submitted “a motion that raises resolute opposition to waste-water discharge from Japan’s Oji Paper factory into the sea”. Both motions stated the deputies’ concerns about the risks and legality of the proposed project. 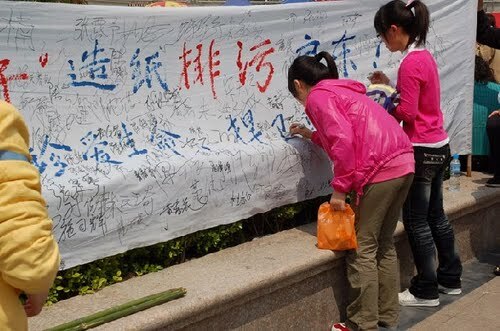 The proposers of both motions held that the proposed project would seriously pollute Qidong’s marine environment, with adverse effects on Qidong’s marine fisheries and residents’ health. Nonetheless, the deputies’ opposition did not effectively halt the project from proceeding. On 13 October 2008, Jiangsu’s Environment Protection Bureau approved the environmental impact assessment (EIA) report for the inland section of the planned project. On 17 December 2008, the Jiangsu Ocean and Fishery Bureau approved the EIA report of the planned project on marine environment. 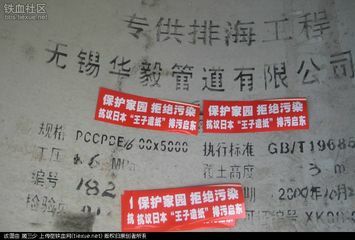 On 2 February 2009, Jiangsu Development and Reform Commission approved the feasibility study report for the planned project. 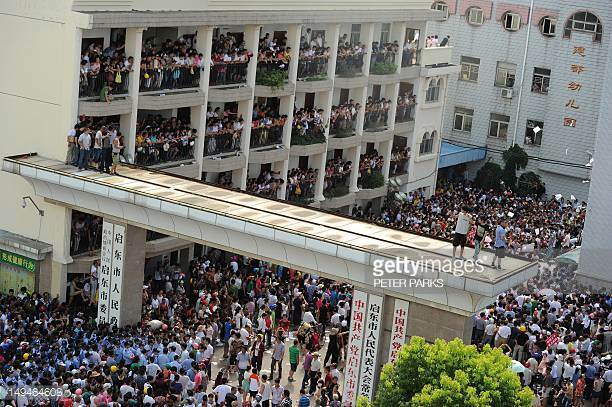 Thousands of people stormed the Qidong municipal government compound and several protesters entered the city government’s main building where they smashed computers, overturned desks and threw documents out the windows to loud cheers from the crowd, at least one police car was turned on its side at the protest. 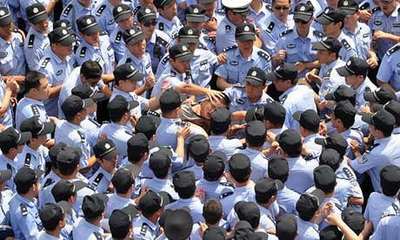 According to Reuters, at least two police officers were dragged into the crowd at the government office and punched and beaten enough to make them bleed. Some images showed police being assaulted and a man described as the municipal party secretary surrounded by a crowd and stripped of his shirt. The clash was quelled in the afternoon when Ding Dawei, Party Secretary of Nantong City, announced through a loudspeaker that the project would be "permanently halted." 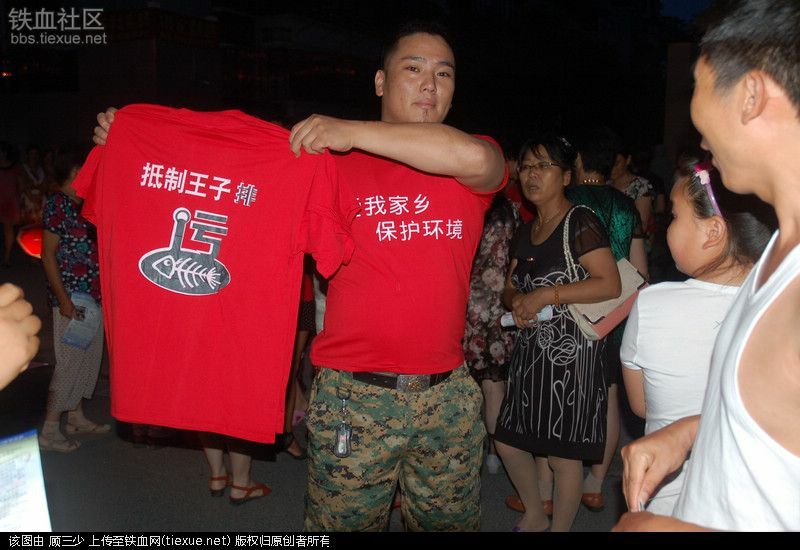 Nationalist comments were mixed with lingering calls for further protest on Sina Corp.’s Weibo microblogging service, showing yet again the anti-Japanese sentiment still to be found in China. 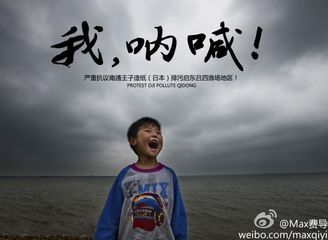 Weibo users expressed their emotional feelings such as, “How can a Japanese paper factory come and damage Chinese people’s health and our environment? How can we with our 1.3-billion population be afraid of that little Japan?” “The whole nation should boycott Japanese products,” “Little Japan, get out of my country!” Online users also called for continued efforts against Oji paper itself. 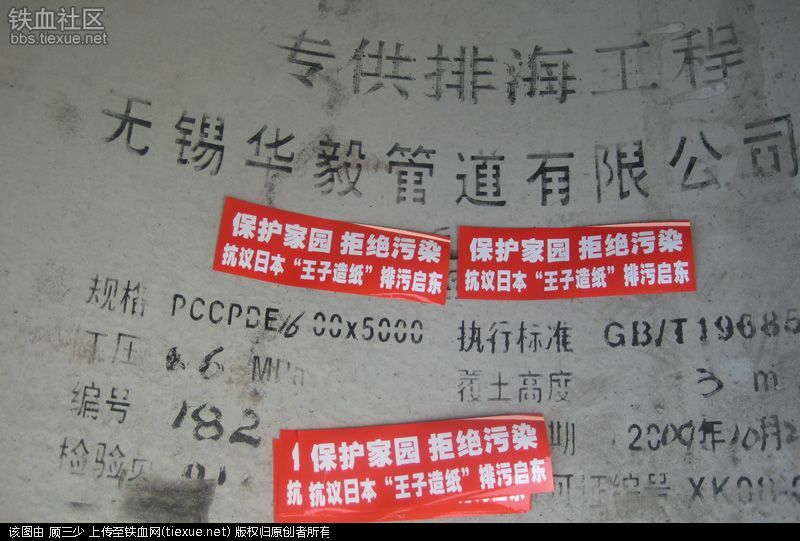 A search for the phrase “boycott Nepia” – the brand name of a tissue that Oji sells in China – turned up more than 100,000 posts on 30th July. This pipeline project triggered online opposition beyond Qidong. A Weibo account named “We Are All in Shanghai” called for Shanghai residents to protect their drinking water from being polluted by this project. “It does not mean that we hate Japan. We just target its blind development based on damaging our environment”. After receiving approval from local authorities for a method of cleaning the wastewater using membrane technology and reusing it, Oji Paper started its full-scale operations at an integrated pulp and paper plant in their Jiangsu plant that had been delayed by opposition from local residents in 2012. The test operations of the pulp facilities began in June 2014. The Nantong plant was in the red due to rising production costs because it was unable to procure pulp in-house before the integration. Project Details The sewage project was located six kilometres northeast of Tanglu Harbour along the coastline of Qidong, a county-level city under the administration of Nantong. The maximum volume that the planned pipeline was designed to transport was up to 150,000 tons per day. Founded in 1873, Oji is Japan’s second largest papermaker after Nippon Paper Group (“NPPNF”), operating more than 20 mills throughout Japan that produce a variety of paper products, including printing and writing papers, corrugated board and boxboard. OJI has approximately 120 subsidiaries and affiliates worldwide, including operations in the Americas, the Asia/Pacific region, and Europe. Other Potential risks identified by the activists without confirmation from scientific evidence--1. potential health problems due to the consumption of poisoned aquatic products with the accumulation of toxic and hazardous substances; 2. higher prevalence of all kinds of strange illnesses in children, such as cerebral palsy, mental retardation, etc., and a higher probability of pregnant women giving birth to abnormal children. Why? Explain briefly. The construction of the discharge pipeline has been canceled. The company adopted advanced technology to recycle the wastewater. Kriesi, Hanspeter, Lisheng Dong, and Daniel Kübler, eds. 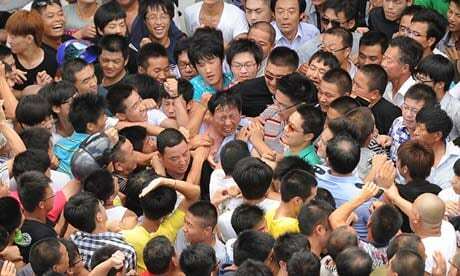 Urban mobilizations and new media in contemporary China. Ashgate Publishing, Ltd., 2015. Jian, Lu, and Chris King-Chi Chan. "Collective Identity, Framing and Mobilisation of Environmental Protests in Urban China: A Case Study of Qidong's Protest." China: An International Journal 14.2 (2016): 102-122.